It’s a stormy night after a hard day’s work and you come home to find your kitchen barren. Rather than face the torrential rain outside, you call out to Alexa to order your favorite pizza. You rip off the day’s professional attire, throw on some comfy sweats, and settle into the nook of your couch awaiting your delicious pizza to arrive when you’re struck by a realization: the number two pizza comes with anchovies on it. You despise anchovies. While you were able to seamlessly place your order through Alexa, the device offers no functionality that allows you to go back and modify that order to take off those pesky, salty fish. Here lies the main problem today with voice assistants, one that’s silencing many enterprise digital voice strategies. These disconnects in functionality are major blows to customer expectation. Consumers are embracing voice technology at unprecedented levels of adoption, evidenced by the ever-growing popularity of digital voice assistants like Siri, Alexa, and Google Home. A digital voice strategy that will end up proving lucrative for businesses and useful for consumers is one that ultimately places customer service ‘in the air.’ What that means is support and service is always connected and available to customers. All they should have to do is shout and their needs will instantly be addressed. In order to take customer service to new heights, you have to build a roadmap that accounts for voice technology’s current pain points. 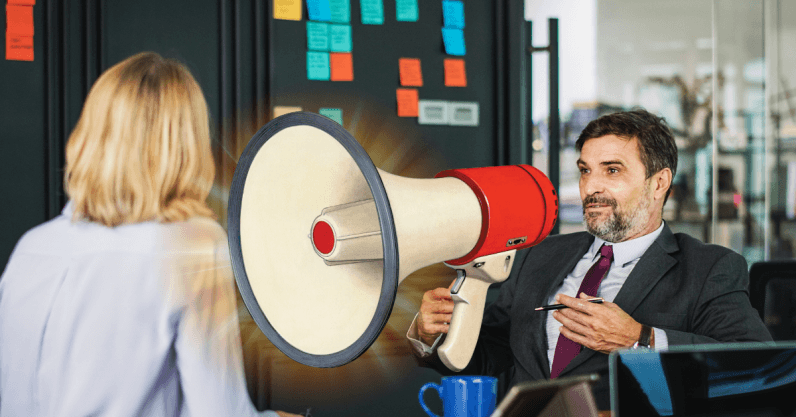 Addressing these three items will help you craft an effective digital voice strategy that works and provide your customers with everything they want—and more! Voice can play a huge part in improving customer experiences by solving the friction that exists in our current screen-based paradigm. Zeroing in on reducing friction is a good jumping off point for anyone looking to start their digital voice strategy. Low-level tasks like managing services and customer accounts continue to increasingly shift into the voice channel because they generate disproportionately higher amounts of friction in terms of screen usage and customer effort. It may seem small and trivial, but when we have to stop what we’re doing to get on our laptops or mobile phones to search (half of which will be via voice by 2020), check our accounts, order a pizza (or correct said order), or access customer service, that’s an inefficient and wholly unnecessary friction point. Automating these simple tasks with conversational interfaces can reduce the amount of overhead support a business needs to provide and improve their customers’ experience and satisfaction. The voice-first device market has skyrocketed recently, growing 126 percent in 2017 over 2016 and outpacing the sales growth of the iPhone after its launch. The playfulness, low cost, and ease of use and setup have made voice assistants extremely attractive to consumers, but these are surface-level benefits. We’re reaching the point where voice-first device penetration has steamrolled ahead of useful applications that can support these devices. Integrating voice more effectively with existing digital channels will ensure voice’s long-term survival. Taking a design thinking approach to your digital voice strategy can help achieve this. Voice devices are geospatial in nature, so creating unique opportunities and functionalities for these devices specific to a given space (kitchen, living room, etc.) means you can better integrate them with devices people are already using. In fact, experts predict nearly every app and website will integrate voice in some way in the coming years. From there, all you need to do is stay within the boundaries of what voice devices can currently achieve in order to meet customer expectations. That means championing voice as the next generation of simple self-service. Thinking about voice as rooted in design can create meaningful, human-centric voice interactions that are more seamless for customers. An intuitive interface that understands how humans communicate—and can, in essence, talk back to us—is the type of holy grail, end-to-end user experience that voice devices could provide. That starts with integration, then preserving the simplicity at the crux of a voice-first experience. Next, it requires designing these devices to evolve through natural language processing and machine learning over time to better understand the infinite nuances and contexts that govern human language. So you’ve reduced friction, integrated, and simplified—great! Now you face digital voice’s current roadblock: major gaps between different voice systems and platforms. It’s necessary to bridge these in order to harness the full potential of voice and create a successful, lasting digital voice strategy. No other channel today has the same ability to manifest itself proactively and on-demand when you’re busy doing something else. Voice can power a more automated, step-by-step style of customer support that reduces the need for human interaction and gives people what they want, faster. To do so, building process bridges between various enterprise platforms in charge of different services the voice channel grants access to is key. Only then can a true end-to-end customer experience be established. It’s why you currently can’t order a pizza through your Echo Dot and then change your order; that requires connecting to a customer service system, rather than the ordering system you used to place your order. A process bridge that connects those two services and offers them in one simple, voice-activated device would make removing anchovies from your pizza as easy as simply shouting, “Alexa!” This is where the true value of the digital voice channel lies for businesses. Once these process bridges are established, voice will reign supreme as the go-to consumer channel and never fail to meet customers’ expectations.